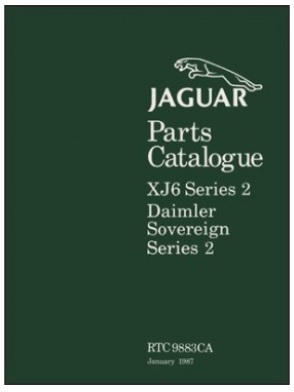 Jaguar Series 2 XJ6 and Daimler Sovereign Spare Parts Catalogue. 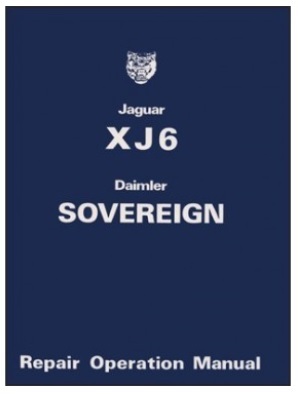 Jaguar XJ6 and Daimler Sovereign Service Manual. 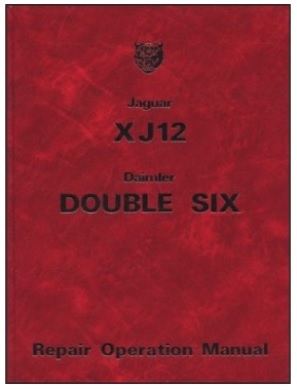 Jaguar XJ12 and DD6 Series 2 Service Manual. Jaguar XJC Owners Handbook with Free Wiring Diagrams and Maintenance Chart. New re-print of the original Owners Handbook. Handbook covers; Controls, Accessories, Recomended starting, driving and operating procedures and basic information on maintenance procedures with specs and capacities.